Lots of webmasters add photos to web pages, to make the site look more attractive and make pages look more relevant to the niche. The drawback is that for a site with lots of article pages, that means finding and buying lots of different photos - one for each page. Alternatively you can use the same photo on many pages, so visitors will keep seeing the same image again and again, but this can make your site look stale and uninteresting. Web Photo Cash Saver provides a simple alternative. With this software, you buy just a few photos. The software will then show them in sequence to each visitor. So when a visitor arrives at your site, they'll see photo 1 on the first page they view, photo 2 on the second page they view, photo 3 on the third page they view, etc. If they get to the end of the sequence, they will start again with photo 1, but since most visitors only visit a few pages of a website, most visitors will see a different photo on each page they visit. This simple solution means you only need a few photos - even if you have dozens or even hundreds of articles - saving you time searching for photos and reducing your photo costs. 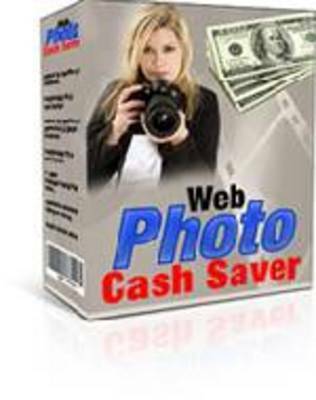 Web Photo Cash Saver makes it quick and easy to apply this solution to any website. Simply enter the photo file names into the script set up tool and then upload the script and the photos to your website. The script will handle everything automatically.